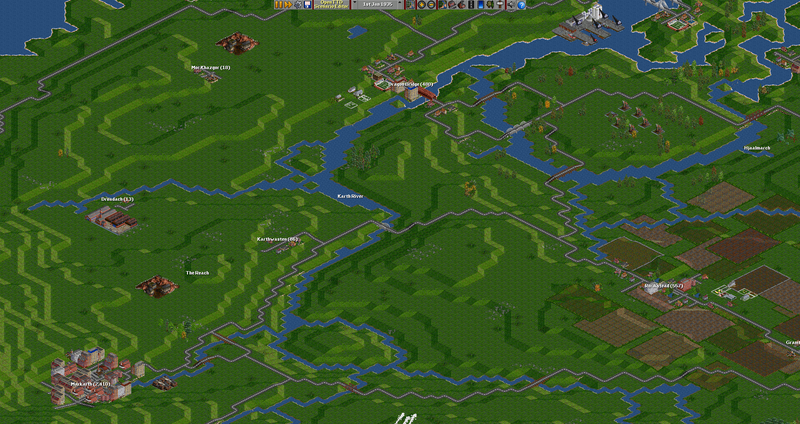 Hullo folks, I've been making a few scenarios for OpenTTD and I thought I'd create this thread as a directory as well as for any comments/suggestions/requests for future scenarios. -Accurate relative population sizes for all towns above 250. A very detailed heightmap-based scenario covering the entire continent of Tamriel from Summerset Isle to Vvardenfell and Solstheim. 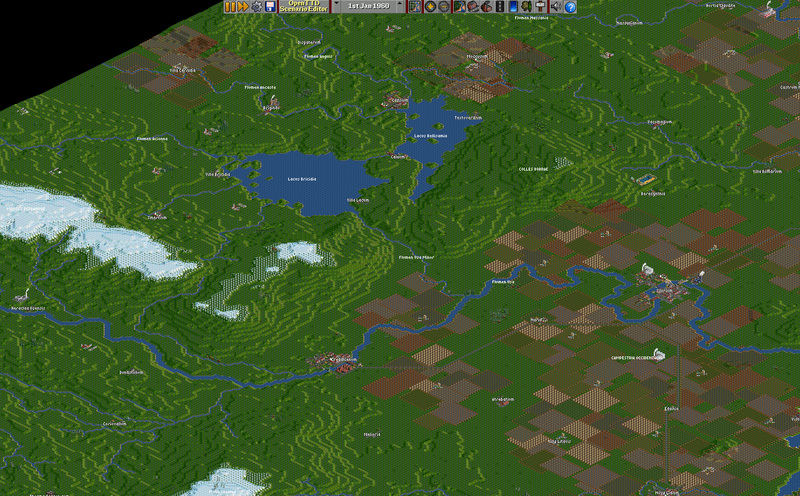 Towns and roads have been placed as accurately as possible and I have varied the terrain and tree types to hopefully give forests in different regions a different feel from each other. 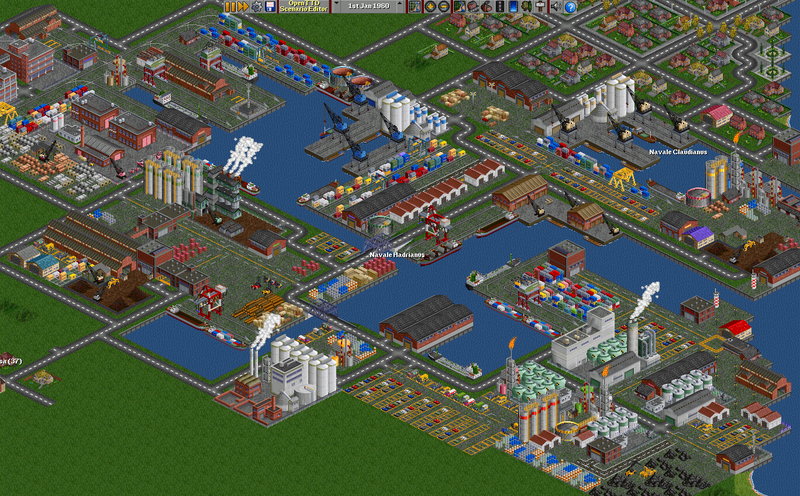 -Uses FIRS Industries and complimentary non-default vehicle sets. A mountainous Nordic coastline of fjords, glaciers, rivers and islands. 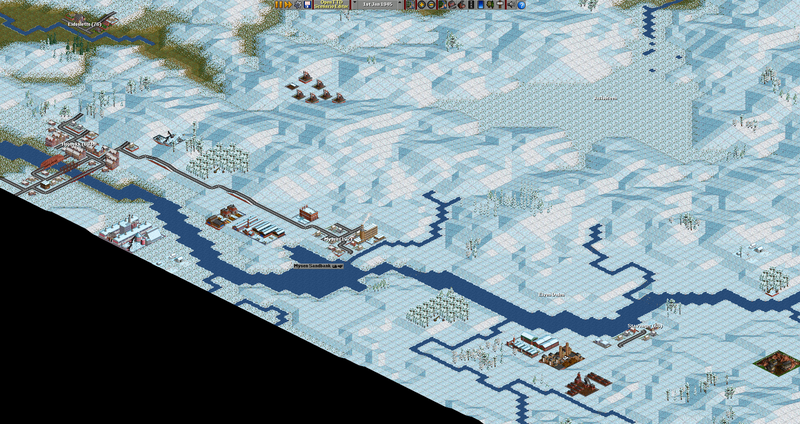 Built by hand to give realistic terrain. 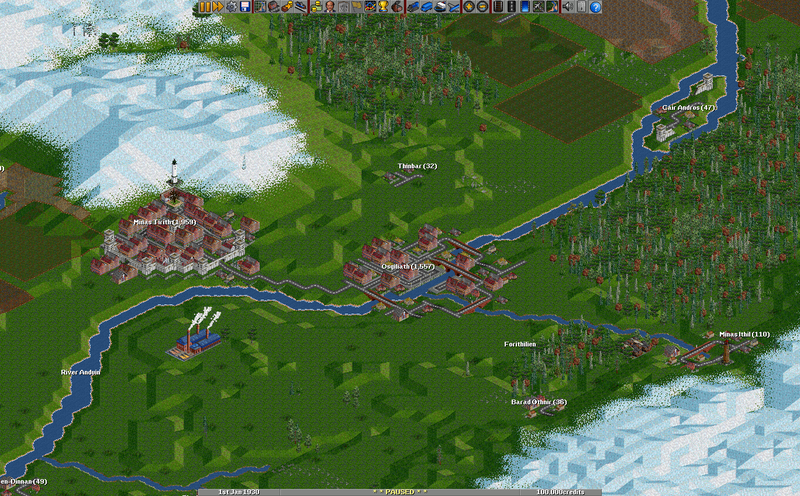 Towns and industries placed to give interesting gameplay and should encourage a mix of all four transport types. A maritime map with a south pacific theme. 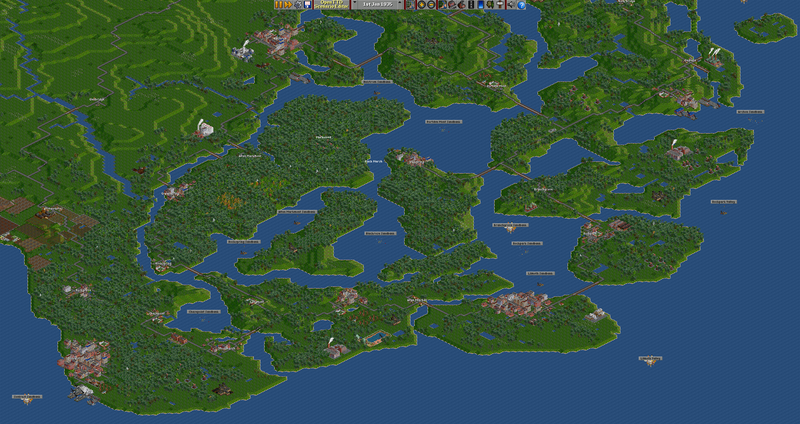 An archipelago of tropical islands and atolls lying off a desert coastline. 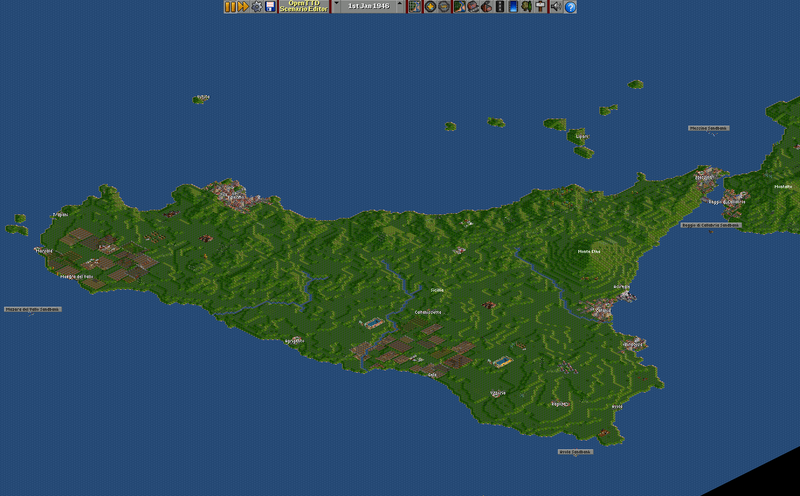 Good for sea and air routes with the coastline and largest islands suitable for rail networks. Set in 1945, as European colonialism starts to wind down, the map covers east Africa between Khartoum and Dar es Salaam as well as the Gulf of Aden - Modern day Tanzania, Kenya, Somalia, Ethiopia, Eritrea, Yemen and South Sudan. 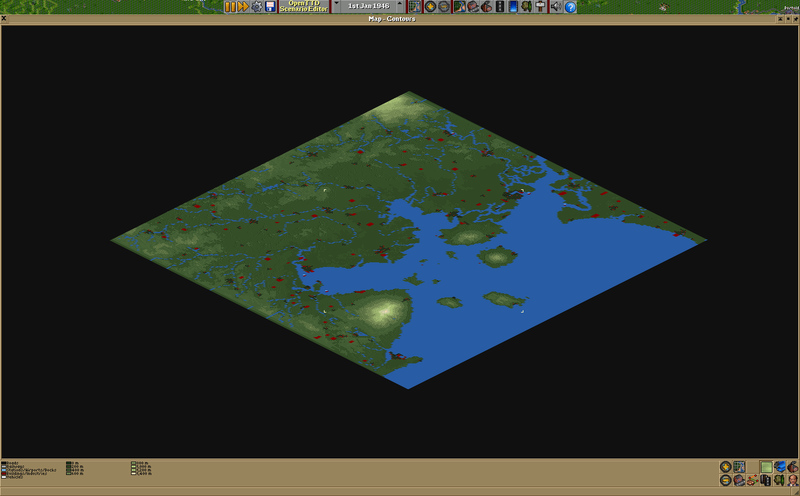 Terrain is taken from heightmap; Industries and cities are placed accurately with period names. Uses FIRS industry replacement set and vehicle replacement sets including the Tropic refurbishment set, FISH, eGRVTS, city tram set and Aviators Aircraft. Big 'ol Scenario of Middle Earth (Lord of the Rings). From the Haradwaith to the Forodwaith; from Lindon to Dorwinion. Places are lore-friendly as far as possible with some extras taken from MERP and other semi-canon sources. 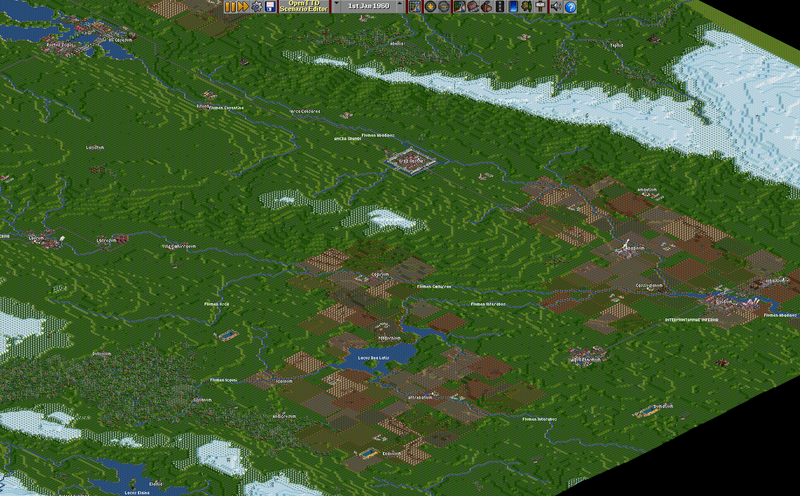 I've tried to keep towns to a manageable size and industries placement should give interesting gameplay. 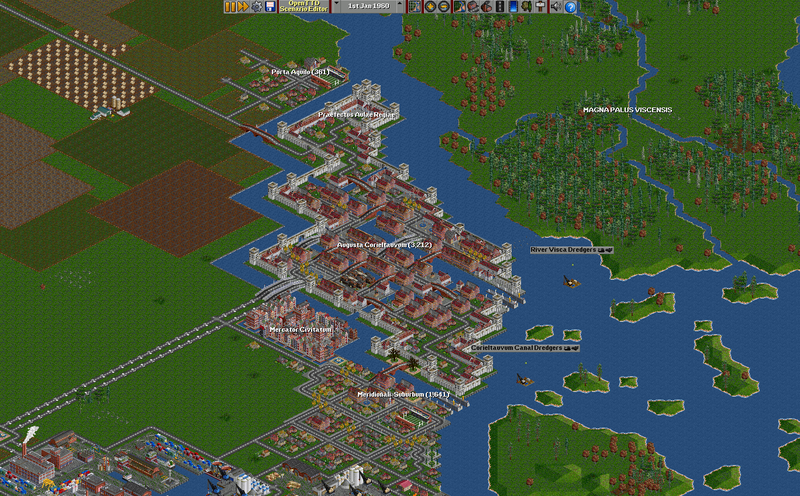 Uses FIRS industry and complimentary station and vehicle sets. Large 1024x1024 fictional map with a Roman-British theme. Centres on a large bay with a narrow inlet, surrounded by large planes bordered by mountain ranges. Uses FIRS industry set and complementary vehicle sets including UKRS2, eGRVTS and FISH. 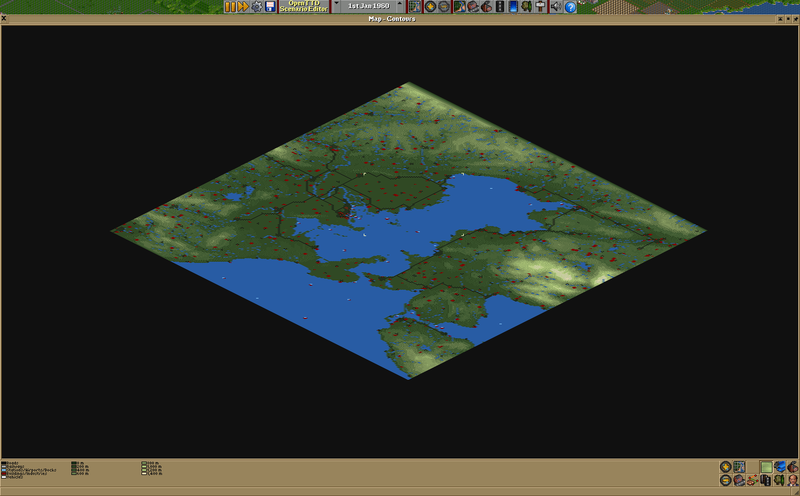 Smallish 512x512 map set in a fictional county in northwest England. Uses a simpler version of the FIRS industry set. 1024x1024 Map of post-war Italy and the surrounding regions. 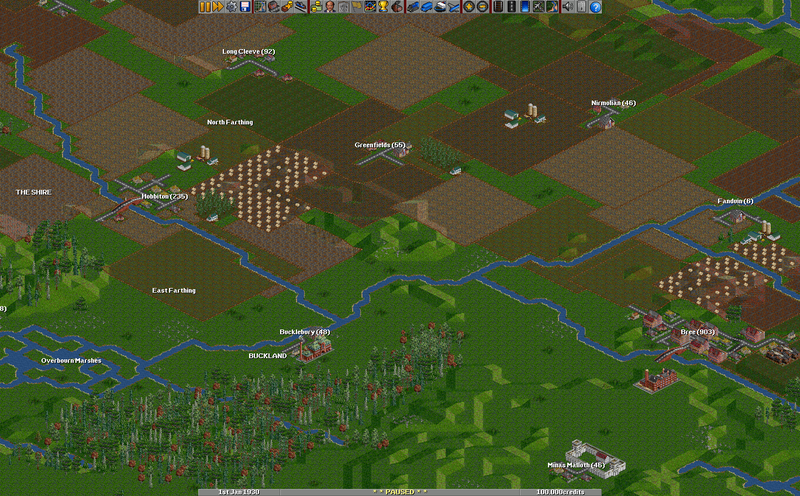 Populations and industry placement roughly accurate. Uses FIRS and a variety of complimentary vehicle sets. Last edited by Balsiefen on Sun Nov 18, 2018 6:24 pm, edited 12 times in total. Been a while since I updated this. 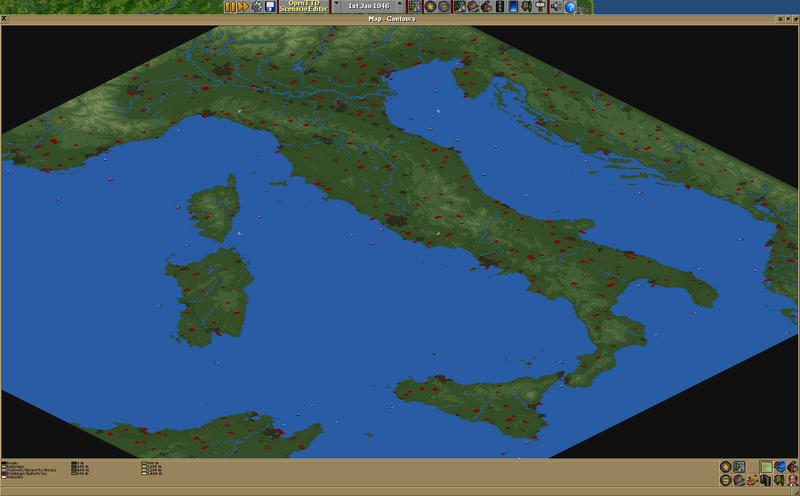 Added two new scenarios: Lammas Day Islands and East Africa 1945. I've got a couple more somewhere that I've not uploaded to BaNaNas yet. I'll add them as I find them. Welp, It seems to be about once a year I get around to doing this. 4 new maps: two originals, one of Middle Earth and one of Italy (which I made yonks ago). 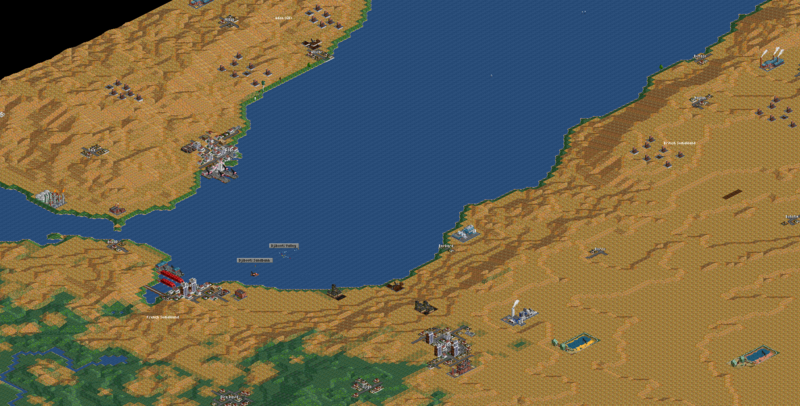 I would have had a big map of Mars too but something seems to be wrong with the newgrfs in the file. 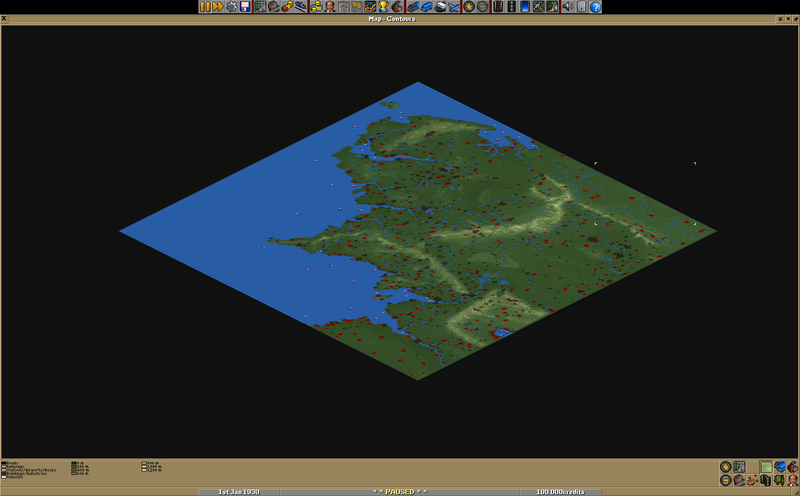 Also maybe a Warhammer map could be in the works. I got hold of a nice heightmap recently.